Powerful, Simple, Versatile. 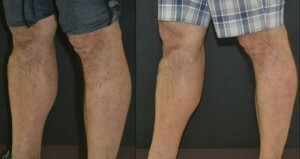 Performs regeneration of the connective tissue for aesthetic and treatment purposes. 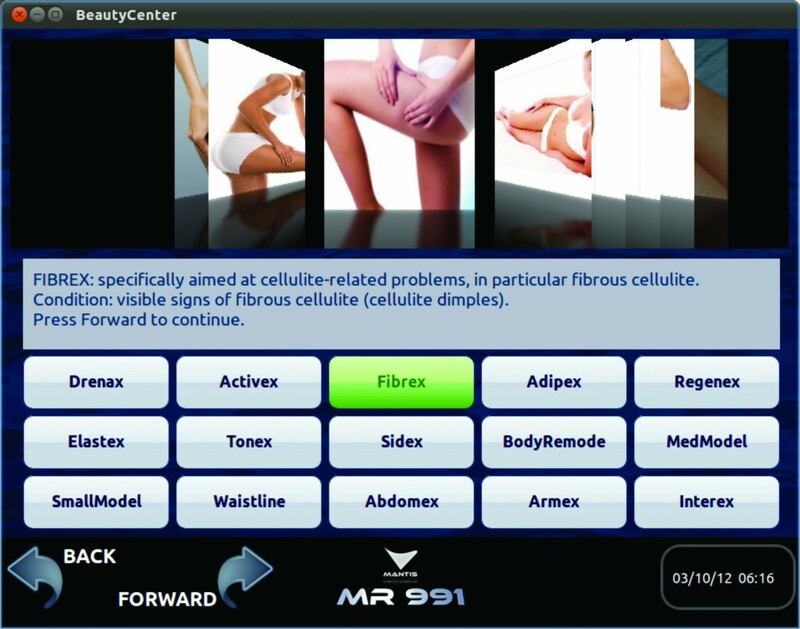 MR991 features two cutting-edge technologies which work together to offer incomparable results, as proven by numerous clinical studies. Our patented D.E.S. - Dual Energy System - Technology is the most advanced system in the medical and cosmetic field as it combines the use of two innovative technologies: MRM endomassage (mechanical manipulation with motorised rollers, which act simultaneously with a deep pulsating action), and CMPS (pulsed magnetic fields with stochastic resonance, which stimulate and increase the fibroblasts, regenerating and recharging lifeless cells). D.E.S. combines the effects of magnetic fields and endomassage, improving blood flow and metabolic processes, stimulating the immune system and aiding the regeneration of connective and muscle tissue. MRM technology features all the benefits of manual massage, reproducing and enhancing its effects thanks to a deeper, constant action. Endomassage is a technique which combines light pulsed suction of the skin with a rolling and unrolling action of the skin folds, which can be performed with different frequencies and power levels depending on the specific imperfection or physical problem to be treated. The action of the rollers mobilises and exercises the tissue, reactivating its microcirculation and reopening the lymphatic channels. This restores osmotic exchanges and correct oxygenation, stimulating the fibroblasts and providing incomparable, unparalleled results. Use of CMPS technology is the result of a culmination of over 50 years of research and experimentation in the most advanced medical physics institutes in the world. The pulsed magnetic fields with stochastic resonance technology have been extensively tested in our research laboratories for cellular restoration of functions and reconstruction of tissue, as well as the treatment of many other serious conditions. CMPS technology acts simultaneously on the remote cause of cell damage and on the undesired effect by regulating the cells' electrochemical equilibrium and restoring correct permeability of the cellular membrane. 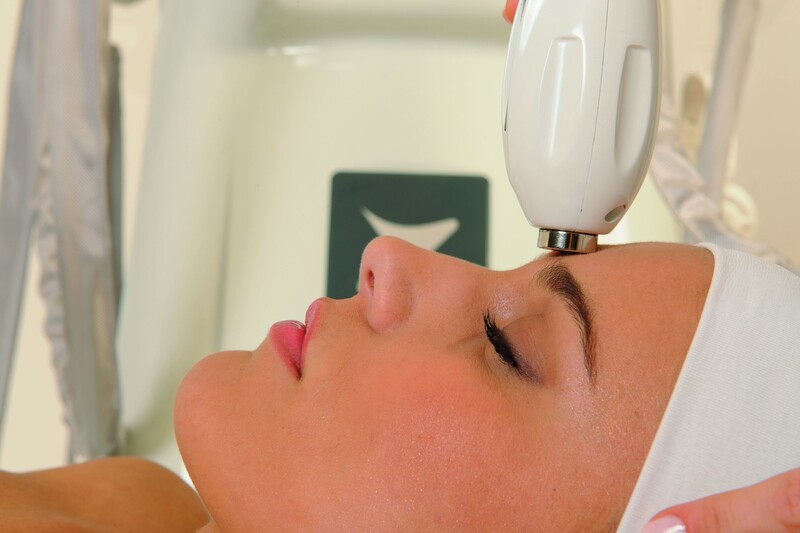 CMPS makes use of very-low frequency pulsed magnetic field therapy, causing interaction with the cellular structures and facilitating restoration of physiological conditions. The cellular membrane facilitates ion exchange, ensuring the cell receives the nutritional substances it requires. In the intracellular membrane, it leads to optimum production of ATP, which transports energy to all of the organism's cellular structures. Treated tissues receive increased blood flow, with stimulation of the fibroblasts, providing a significant toning and firming effect on the tissue as well as guaranteeing the stability of the results obtained. In this manner, oxygen exchange with the tissue is increased and at the same time all toxic substances are drained off towards the kidneys and other organs for removal. The MR991, by reducing pain and the inflammatory process, and by improving aesthetic aspects, restores the patient's emotional balance, reducing stress, increasing feelings of well-being and improving their overall quality of life. Reduces pain, accelerates regeneration of connective tissue and muscle. The larger handpiece, featuring rollers which move in various directions, a pulsed suction system and a CMPS (pulsed magnetic fields with stochastic resonance) system. Designed to treat the larger areas of the body, it offers optimum coverage. This offers the same features as the MAXI DES but in a smaller size, and is designed to treat smaller areas. Consists of a specific and powerful PMF system which performs impact treatment. The use of a customised cream provides deep penetrative power thanks to the powerful action of PMF on the skin. The VIXO handpiece is specially designed for the sensitive areas of the face. 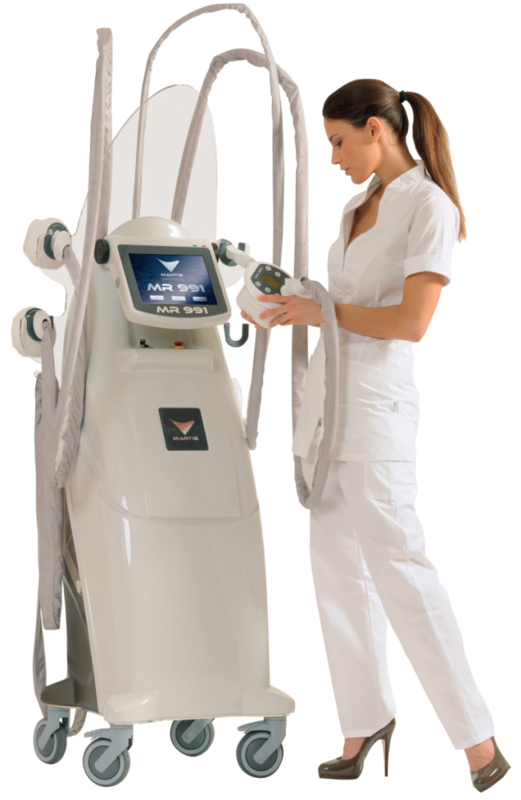 It consists of a specially calibrated CMPS system designed to improve facial imperfections such as wrinkles and sagging skin. Thanks to its deep transdermal penetrative power into the skin, it is used to apply specially formulated cosmetic products for successful completion of all treatments. MR991 is very easy to use, as it is equipped with a touchscreen which displays the various activation modes of the machine, accompanied by explanations of the application protocols. Mantis Magnetic Cream is designed to enhance and maximise the effect of the MR991 technology. When CMPS technology (pulsed magnetic fields with stochastic resonance) is combined with its special cosmetic formula, the active ingredients penetrate even deeper, guaranteeing greater effectiveness compared to traditional cosmetic products. Complying with the most rigorous regulations and meeting the most important technical and quality standards, the Magnetic Cream line is formulated not only to improve the figure and treat blemishes and other imperfections, but also to improve the body's general cellular condition. Indeed, thanks to its innovative combination of active ingredients, which are absorbed into the tissue through a technologically advanced system, Mantis Magnetic Cream cosmetics are able to act directly on the causes of such imperfections. As time passes, the skin ages and suffers a general loss of tone. This is a complex phenomenon which leads to various blemishes and imperfections, such as loss of tone and brightness, sagging skin, wrinkles and fine lines. MULTISYSTEM features a powerful revitalising formula which aims to provide an effective and long-lasting anti-ageing effect and stimulate the formation of collagen and elastin, significantly reducing wrinkles and fine lines. 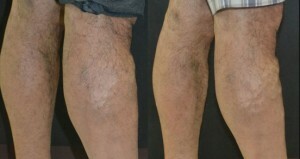 The treatment is enjoyable and relaxing, the results immediately visible and long-lasting. Weight loss, ageing and pregnancy are behind some of the most significant bodily imperfections such as cellulite, loss of tone and elasticity, and stretch marks. Activer, a slimming and anti-cellulite cream treatment with active ingredients in an ionic formula, has a draining, tightening and cleansing action. It also prevents the onset of signs of ageing and increases collagen production, while visibly firming up the tissue. “Women, and even men, complain of cellulites. Age, pregnancy, lack of mobility and unbalanced diet are contributing factors. They are unsightly, and they do cause unnecessary stress. Mantis MR 991 is the solution! 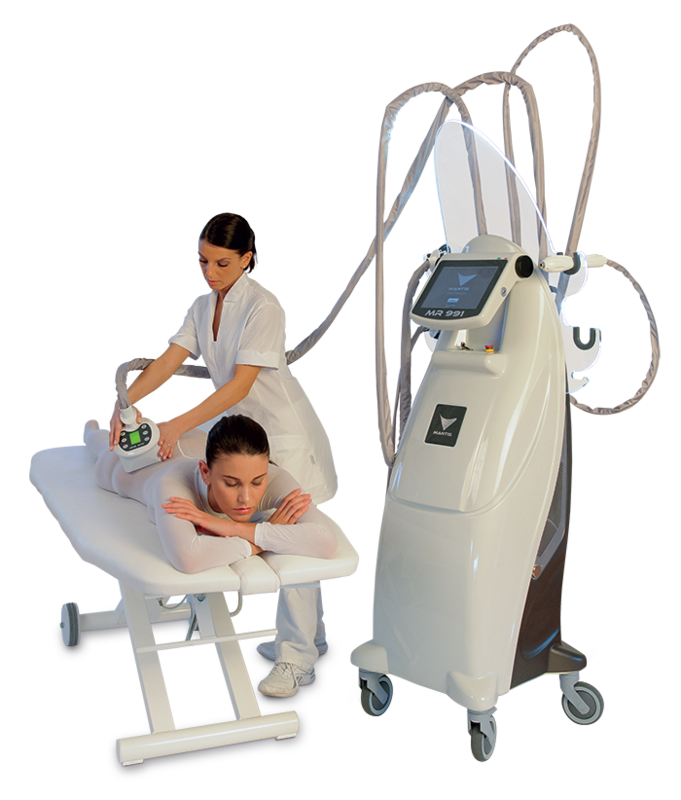 It is the latest technology that provides a holistic application to get rid of unwanted cellulites for good. 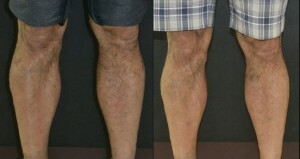 With diligent treatments, Mantis improves the muscle tone, reduces the fats, tightens and smoothens the skin, and obliterates the varicose veins to manageable size. More than the physical transformation, the uniform appearance and smooth texture of the skin provide an instant boost to self-confidence. Physically, the body is changed, and, mentally and emotionally, the spirit is lifted and energized. Mantis is true anti-aging. Mantis is natural healing from the inside out. Mantis is for everyone”. Want more information, or download our brochure?